CAN THESE PLEASE BE MADE INTO SETS!!!!!!!????? Then character´s names would be edited. They would be Teho, Luwa, Gemi, Oneo, Kopoki and Puhuta. actual tree elements in a plastic toy line. Who made the design? It is awesome! Wait wait wait wait wait wait. Kopaka is my personal favorite. Think of it like Saitama before joining the Hero's Association... he's just a "hero for fun", but isn't official. "I'm just a class C Hero with a score of 71 points." These all look excellent @IllustriousVar , but from a set prospective, I'm not sure the accents on all the Toa work. For example, Kopaka looks like he has yellow elemental energy flowing through him, this is a color associated with warmth and doesn't convey ice. This is messing me up while trying to make sets as he looks out of place. Pohatu and Onua are the only two that work well when associating them with their elemental energy colors. 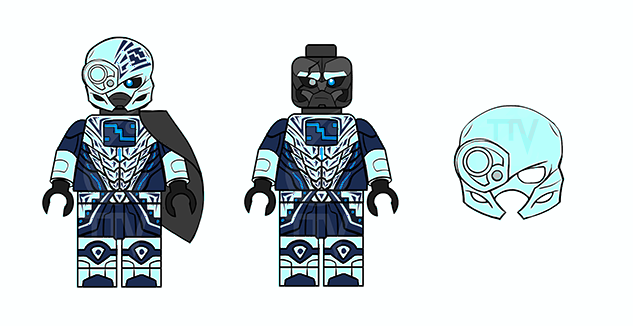 Here is a recolor that I think fits better for Kopaka. Unfortunately the solution isn't as simple for the other Toa. Unfortunately the solution isn't as simple for the other Toa. why not, you just have to change the glow dont you? 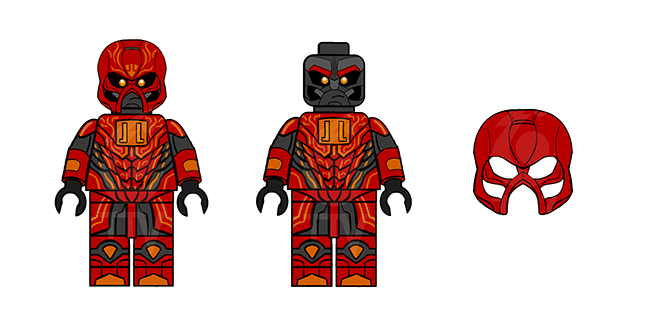 The color around the glow for Tahu, Gali, and Lewa are pretty much the same color as what the glow should probably be, so another color may have to be changed for them and this changes the aesthetic. I cant really understand what you are trying to say. I apologize, I was thinking of the glow in the nuva symbols and how the squares that they are in are the color the glow should be. Here is a quick example. It looks fine except for the orange on orange nuva symbol. I don't really associate pink with wind though. Isn't pink part of Voriki's color scheme? I mean. In other sources of media pink is so meh. I don't really mind.